Whether you fall into one of those categories or another, we need your help. 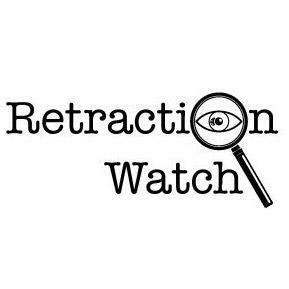 Our database of retractions, for example, with more than 18,500 and counting, is already the most comprehensive collection of retractions anywhere. It remains painstaking work. Because of how scattered, incomplete, and sometimes even wrong retraction notices are, every retraction must be located, double-checked, and entered by hand. Our researcher spends much of her time curating the database, assisted at various points by a small army of terrific librarians, graduate students, and others interested in cleaning up the literature. The database is of course only one of our projects. We continue to tell the stories of scientific sleuths who are cleaning up the literature, and uncover reports of investigations into misconduct. As you can guess, this effort requires resources. We have been fortunate to have this and other work funded by generous grants over the years, going back to 2014, but those grants have ended. We are always in discussions with past and potential funders — and would be grateful to hear suggestions on that front — but as is the case for most non-profits, our future depends on maintaining sufficient financial support. We’re therefore asking you to consider a tax-deductible financial contribution to our parent non-profit organization, The Center For Scientific Integrity. We hope that this need is somewhat temporary. We have several sources of potential “earned revenue” sources either in existence or development. For example, all of the fees we earn from writing for Science, The Boston Globe, STAT, and other outlets are paid to the Center. While our database of retractions will always be free to search, and we are happy to make the data available to any scholar who intends to publish their findings, we plan to license the data to those who might have commercial uses for it, including publishers, investors, and universities. And we have been working on a specialized newsletter for a part of our audience that may find the information useful. Building up these streams, however, takes time. Many of you have responded to our “fund drives” in the past, and even in the recent past, and for that we are deeply thankful. If it has been a while, and your circumstances permit, we’d ask you to consider contributing again. If not, we completely understand; please know that we value all kinds of support. Perhaps you could circulate this post to others who would be interested in donating, or whose companies participate in giving programs such as Benevity. As is clear from our tax filings, the vast majority of our budget goes to staff salaries. At the moment, so that our dollars stretch as far as they can, neither I nor my co-founder Adam Marcus are taking salaries. We will do that as long as we need to. Thanks for considering a donation. Contribute — including by a sustaining monthly donation — by PayPal here, Crowdrise here, or by check made out to The Center For Scientific Integrity, 121 W. 36th St., Suite 209, New York, NY 10018.